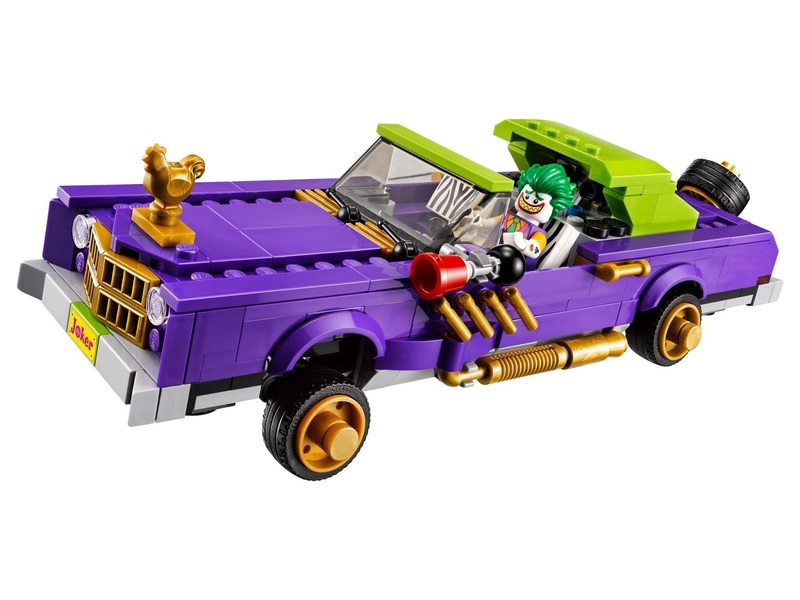 come with a notorious lowrider. 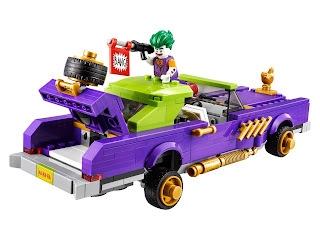 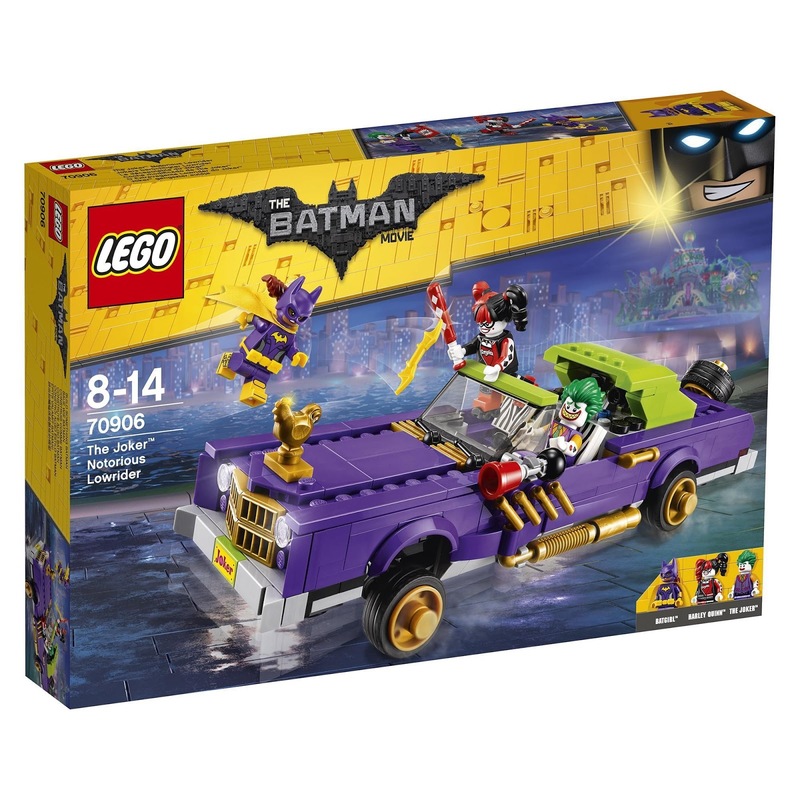 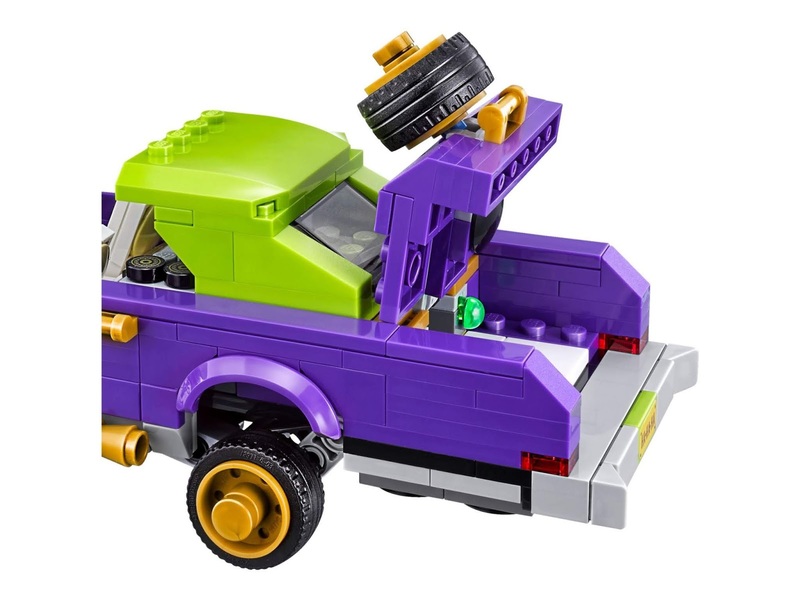 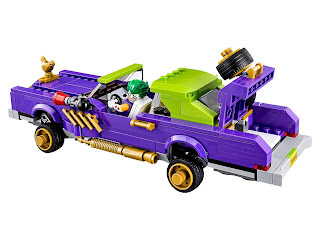 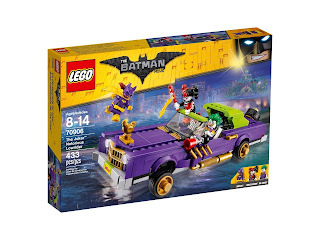 the notorious lowrider has a minifig cockpit with stereo element, a bounceable suspension, an openable trunk with hidden double spring loaded shooters and storage space, handles for harley quinn to hang onto, a golden colored chicken ornament on the hood, a spare wheel and a comedy horn. 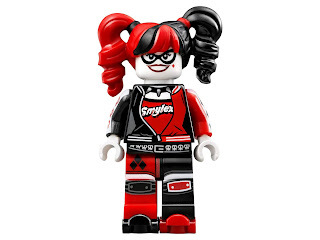 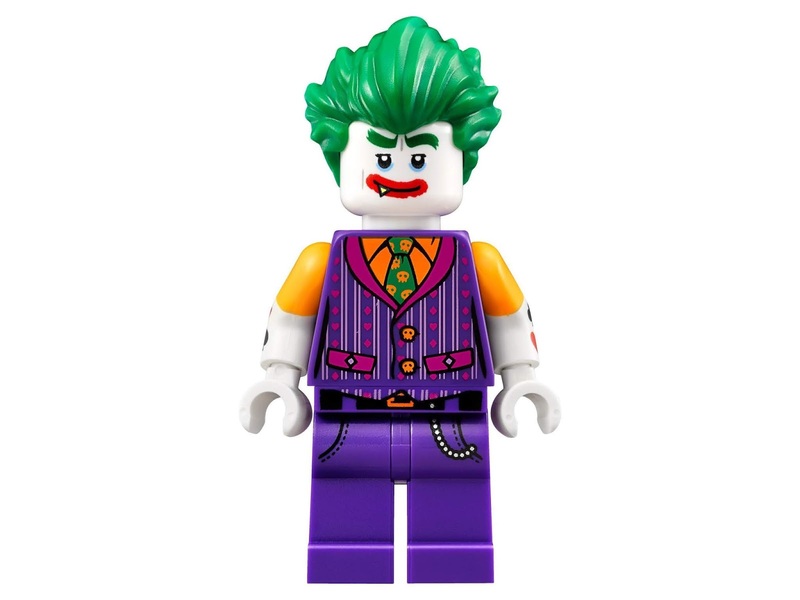 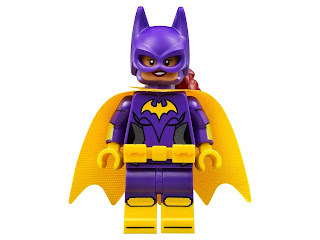 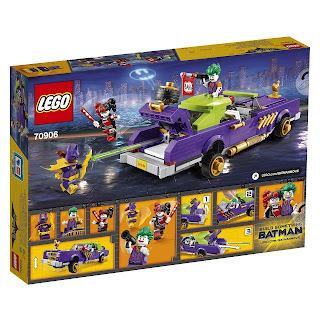 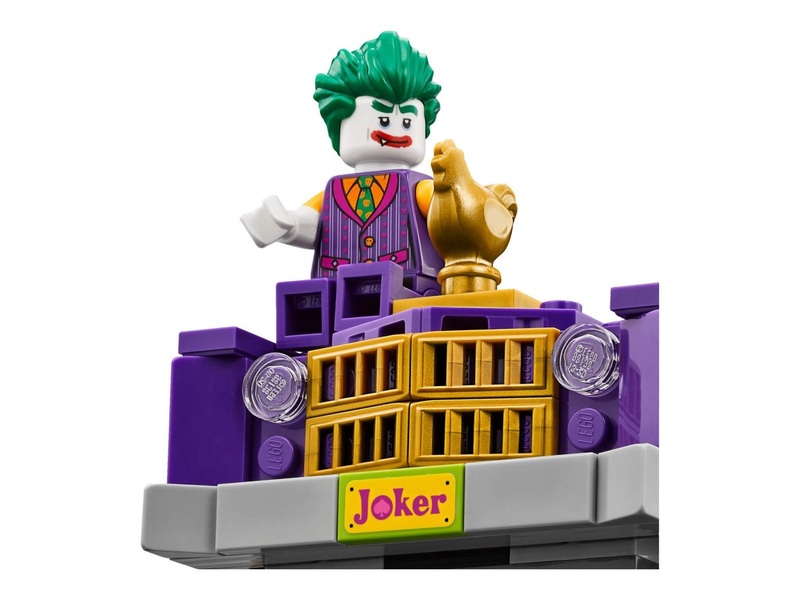 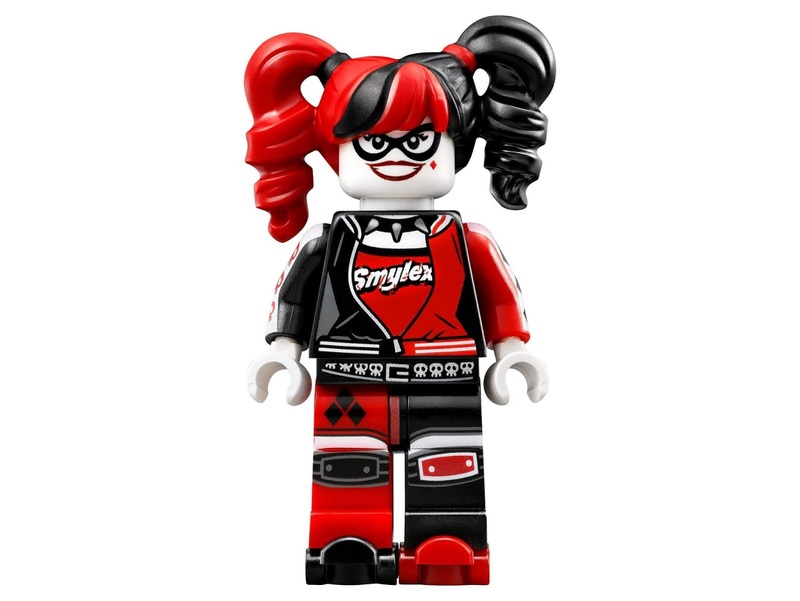 minifigs included the joker minifig, a harley quinn minifig and a batgirl minifig.